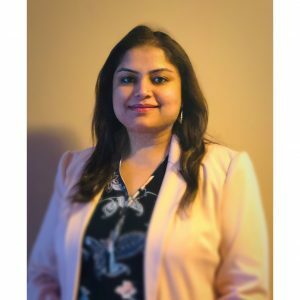 Concordia University of Edmonton is very pleased to introduce Isha Katyal, PhD., as Manager of Centre for Innovation and Research (CIAR) starting January 21st. Dr. Katyal has comprehensive training in basic sciences and strong experience in early stage technology assessment and business development. She has worked extensively with government and private sector stakeholders, as well as several different post secondary institutions. She obtained her PhD. at University of Saskatchewan where her focus was to compare new genomic markers for predicting genomic diversity with widely used genomic markers. Currently, she is pursuing an MBA from University of Alberta. Please join us in welcoming Isha to the team!